Characteristics: Can be grown into a dense and thorny privacy hedge. prefers full sun to partial shade. Flourishing Season: Significant growth from spring to summer requiring 2 to 3 trimmings to maintain an orderly hedge. Water & Maintenance: Can tolerate a variety of well-drained soils. Appreciates organic fertilizers mixed with soil for initial growth and then yearly feedings in winter. 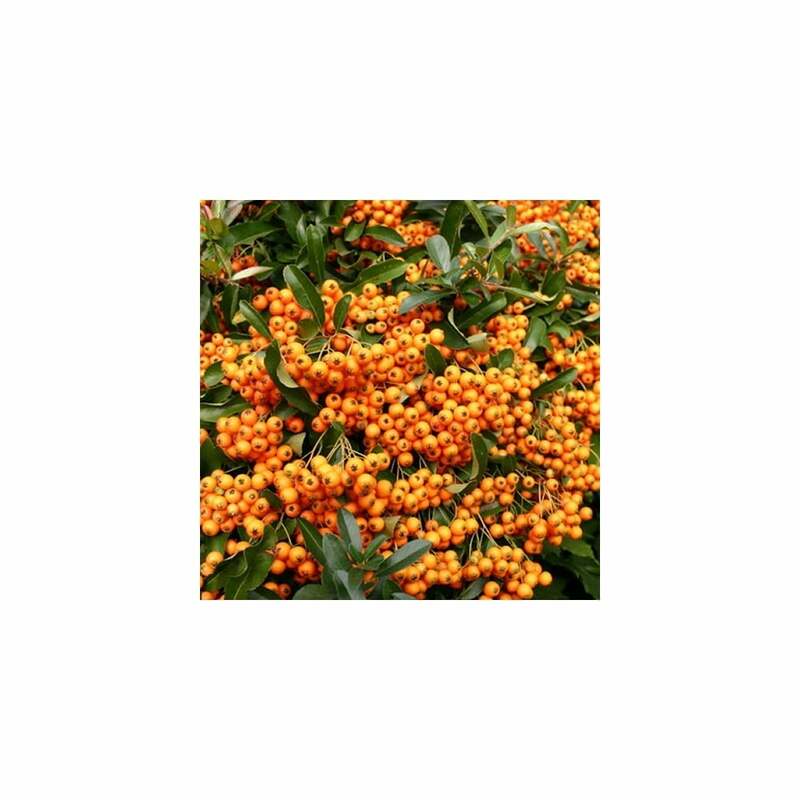 The Pyracantha “Orange Glow” is an evergreen shrub that is extremely effective to use for privacy hedging due to its dense growth of dark, green leaves and numerous thorns. Once the plant is established, it tolerates temperatures down to about -10⁰ C.
It is important to be weary of a variety of pests which may attack the Pyracantha shrub, this includes aphids, caterpillars, scaling and moths which consume the leaves. Similar to other varieties in the same family, the “Orange Glow” produces a pleasant fragrance from its white-coloured flowers around May and June. Later these flowers develop into their namesake-colored fruit of a striking orange colour. Due to these berries and the protective barrier that these shrubs create, a number of bird species that eat the fruit, also nest within the shrubs themselves. The Pyracanth family can be combined to create a dazzling array of vibrant yellows, oranges and reds in a hedge, or they can be coloured coordinated and with either design ensure a hedge row of privacy.